Sheddda leads and Dusty’s back. We only got to see half of this match and it wasn’t the best half. We had been in Wodonga for Good Friday and had travelled home on Saturday. And we were late home and left for the game not long before the first bounce. The tram was late and slow and it was half-time by the time we got there and found our way in. But the news to that point was good. Richmond had the better of the Swans in the first quarter and then towelled them up in the second and now led 9.5.59 to 4.2.26. I know that Swans haven’t started the season well but they’re always good, even when they’re not. That is, even in their slumps, a good team lurks waiting to pounce. We found reasonable seats on the top level near the Swans end of the ground. A good crowd was in and on this balmy autumn night the roof was shut, so it was hot and stuffy. The closed roof at Docklands is a metaphor for the closed mind of the AFL. We have a roof, it must be closed. If we didn’t’ close the roof, how would people know that we could close it if we wanted to? In finding our seats we had missed most of the half-time horror, the worst of which is Are You Paying Attention? This is a charming segment where people in the crowd are exposed for the sin of not watching the scoreboard and therefore seeing themselves on camera. It’s hilarious. I mean some people go to the footy and don’t watch the big screen at half-time. What on earth can they be doing? Talking to their friends? Sending their mother a text message? Sitting there quietly enjoying themselves? All of these things are crimes, or should be, and are rightfully exposed. “Ownlife” is what this crime was called in Nineteen Eighty Four. Then the game restarted and the Swans made a game of it for a while. 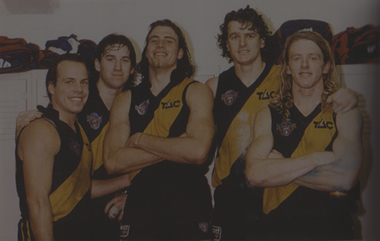 But the Tigers steadied and increased their lead. Dusty scored a brilliant crumbing goal, coming from nowhere. Lynch had gone for the mark, the ball spilled to ground and Dusty swooped. It’s good to see him kicking goals and smiling again. Another highlight was when Shai Bolton went on a bit of run from the pocket, evaded a tackle or two and then missed with a banana. But it was good to see him have a crack at it. Another thing I really liked was Edwards talking to the defenders after each of the Swans’ goals. I don’t know if Cotch does this, but it moved me. What a good leader he is. At the last break Richmond led 11.9.75 to 6.3.39. And at the last break there was Cuddle Cam, another abomination. Then the game got going again and Richmond kicked to our end but were outscored two goals to four for the term. I didn’t like the way the Swans were able to move the ball out of defence. Apparently this had been impossible in the first half. There were nervous moments when it looked like the Swans might come back but Richmond would not be rattled. Late in the quarter Castagna marked at about the spot were Dragicevic marked against Adelaide in a close game about 19 years ago. Dragga had missed and we lost. But Castagna went slotted it and we were home and much relieved. We sang the song and then Dusty was interviewed and said he’d prepare for Wednesday night’s game by having “a few beers.” Then he said they’d be having “chocky eggs” on Sunday and getting back into it. We left then, before the second rendition of the song. We were exhausted by our travels and by the Docklands experience. We got lost leaving the ground but eventually found the new bit of Collins Street and our tram came straight away. The next day was Sunday and we still had Monday off. We didn’t have to move house or travel anywhere and Richmond had won, again, with so many players out. But after that great win against Port we hardly consider this. We don’t have players missing so much as we just have different players in the team. I don’t want to whinge too much about Docklands, but the place stinks. And the way the RFC presents the “match-day experience” will soon lead to zero atmosphere at our games. Even at a game against an interstate team I was struck by how quiet our supporters were. What’s the point of having the most passionate and numerous supporters if you don’t let them make their own noise? The papers gave Edwards best on ground and I won’t argue with that. 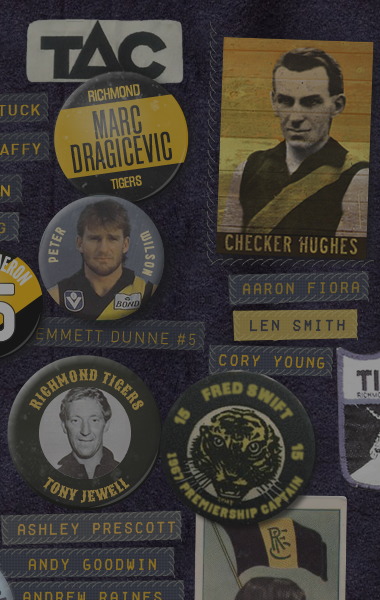 Also Martin, Stack, Prestia, Vlaustin [who have got votes] and Caddy [unlucky Josh]. Having missed the first half it was difficult to tell. But our defence stood up well again. Franklin was allowed to kick four goals but nobody else was off the leash. Now Melbourne, tonight. 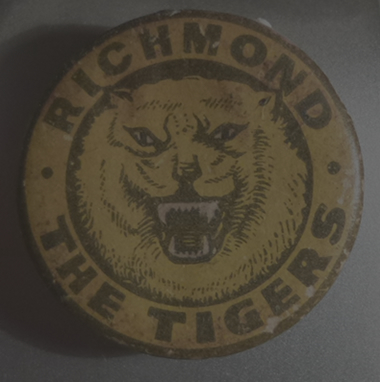 I actually expect us to win and this is still an odd feeling for a Richmond supporter. I’m glad to be moving house on this day because it looks like Richmond are travelling to be slaughtered. Our best four players are out along with Houli and Short, who might be five and six, and are certainly hard to replace in defence. We haven’t won in Adelaide for two years – since we beat Port in that Premiership year – and our interstate record last year was terrible. And we’re coming off a heavy defeat against the Giants. Early on Friday, after picking up a hired lawn-mower and getting a long hanging rail from Bunnings, I drop into the Preston Market. The woman at the deli who is in the Collingwood Cheer Squad tells me that the Magpies are “the same as you – we’ve won one, lost two.” The same as us? Collingwood? The team that destroyed us in round 2? This I can’t believe, but it gives me heart. And hope springs. On Saturday morning I’m thinking the move won’t be that bad. On Friday night we’d already shifted the piano, the couch and a heap of boxes. There was nothing really heavy left. One thing I had to do was some washing as we wouldn’t have a clothes line at the new house. And as I pegged the sheets I thought, Richmond have lost their best players and we have no depth. How do teams get depth? They lose their best players and their replacements turn out to be pretty handy. Stage one of this plan is in place already. The move goes on and on. Early in the day I put an SOS out to my brother who responds promptly and lugs fridges, washing machines, bed bases, book shelves and a thousand boxes with a bad back and dodgy knees. And then mows our lawns and takes our mower back to the hire shop before it shuts. By mid-afternoon we have all our furniture in the house and “just some boxes” left at the old place. I put up a hanging rail in our cupboard-less bedroom and turn the room from a building site into a bed-room in a couple of hours. How? I just put my head down and did it. At about five-ish I go back to the old house in the hired truck for some more things. I find the footy on the radio and Richmond have just scored a goal and seem to be playing well. But on the scoreboard, we’re still a couple of goals down and I’m discouraged. We’ve had our chances but have kicked badly. Half time comes and we’re still in it though. I shift some boxes and find some essential items and get that dry washing off the line. Back in the truck the third term has started and we’re making a go of it. All of our new players are doing well. Ross, whom I’ve never heard of, is tearing it up as if he’s been playing for years. It’s his first game. Stack, Bolton, Boulta, are all doing well. Lynch has his kicking boots on and Grimes is unpassable in defence. Back at the new house, truck un-loaded, Richmond are in front again. Lynch kicks a goal, is pushed as he kicks it and scores again from the free. The sort of luck you need sometimes. Possibly a bit of a hard call from the umps but the jeers and boos of the Port supporters make it worthwhile. In the last quarter I figure out how to listen to footy on the radio on my phone. My daughter is sitting on a stool at our beautiful new recycled messmate benchtop, catching up on her Australian History. Two curries are bubbling on the stove. I’m rolling out yoghurt nan with a glass of beer foaming silently at my elbow. And whenever Port grab the lead, the Tigers rally and grab it back. Grimes takes seven marks in the last quarter. The young players whom I’ve barely heard of are full of running. Shedda, in his first game as captain, is standing up like he was born for the job. And Lynch keeps kicking goals. Port get in front, we get in front again, then Port, then us again. Port attack and “guess who marks it?” The commentators don’t mean a Port forward and the crowd silence underlines this. The commentators mean Grimes, because he’s stopping everything. Richmond attack again and Lynch marks and goals with 40 seconds left and the lead is out to seven points and I’m jumping up and down on our polished concrete floor. And the seconds tick away and the siren goes and we dance around the beautiful, new, box-cluttered kitchen. Grimes has been magnificent. I’m not surprised. In the 2017 finals he beat some Geelong forward I’ve forgotten the name of, then Toby Greene and then Eddie Betts. Apparently after his best mark in the last quarter he then kicked the ball to a Port player. But that’s forgivable when you play the game of your life. Ross has had 25 disposals in his first game and has been 92% efficient, they say, which sounds impressive. Shedda has played a tough and skilful captain’s game. Of course he has. Lynch is wearing the big recruit label very lightly. Caddy is back and kicks goals when we need them, just like in 2017. And suddenly we have depth and footy’s not such a bad game after all. Much of the blame for our 49-point loss on Saturday can be sheeted home to me. Every time I checked the score on the radio as we drove to Warragul the Giants kicked a goal. Simple cause and effect. I spent the day constructively. I have fallen in love with painting and on the weekend I finished a job that took all of my weekends since well before the season started. I have been at it well before the Coodabeens are on at ten and, other things permitting, have been at it well into the evening. And after battling with what’s left of my brain all week against bureaucratic brick walls painting is pleasure. Clear the room, clean, fill gaps, sand, clean once more, undercoat, top-coat and top-coat once more. Move to the next room and repeat. Much of the blame for our 49-point loss on Saturday can be sheeted home to me. Every time I checked the score on the radio as we drove to Warragul the Giants kicked a goal. Simple cause and effect. I spent the day constructively. I have fallen in love with painting and on the weekend I finished a job that took all of my weekends since well before the season started. I have been at it well before the Coodabeens are on at ten and, other things permitting, have been at it well into the evening. And after battling with what’s left of my brain all week against bureaucratic brick walls painting is pleasure. Clear the room, clean, fill gaps, sand, clean once more, undercoat, top-coat and top-coat once more. Move to the next room and repeat. I have fixed sash windows, one of humanity’s marvels, but a bugger to paint. One day, I promise myself, I will take a sash window to pieces, replace all the rotten bits with good timber, put it all back together, paint the pieces and re-assemble it. I’m naturally handy, so being able to do such tasks gives me much pleasure. 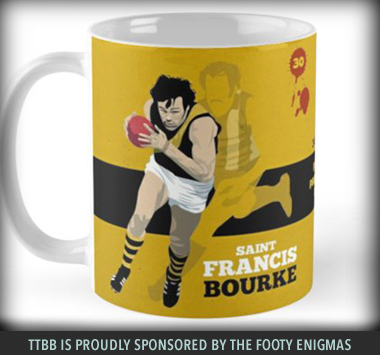 The perceptive reader will have noticed how little I have mentioned the footy. That’s because I didn’t go, couldn’t watch it on telly and, as I said before, every time I checked the score on the radio the Giants got a goal. Our back-line has dissolved. Rance out for the year in round one. Houli out too, a huge loss. Grimes out concussed, apparently, and suspended, deservedly. 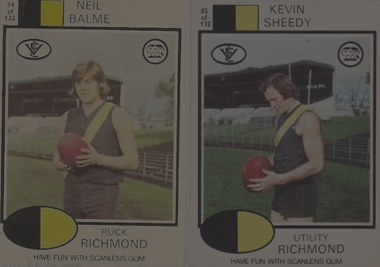 Suddenly Richmond players have discovered their elbows like small babies discovering the wonders of their fingers. Dusty went for someone with the raised elbow, like Grimes did. Damn lucky to have his sentence reduced to a week. In my book any player raising the elbow would get two weeks, no matter how much they missed by. Any contact with the head would be four weeks plus. It’s a good thing, sometimes, that I don’t write the rules. Because it was Dusty who made the snorting gesture and a Giants’ player who was on the receiving end, I was reluctant to condemn him for it. It might be considered funny, in some contexts. But then I thought, what if the other player had a drinking problem and Dusty made a gesture to that effect? And what if it was a Giants’ player making this drinking gesture toward one of our boys? At times I can be a mad sectarian Tiger and at other times I can’t. Jayden Short dislocated his elbow in the first quarter and will miss about eight weeks. And Cotch will miss a few with a hammy. It’s a great time to be a reserves player at Richmond, plenty of opportunities for the young fellers to step up. We are moving on the weekend and all the papers have been thrown out. I don’t know who our best players were. Rioli took a battering early in the match but kept playing, as he does. Lynch did well and will be a crucial part of our team when we come good in the second half of the year. And before then, too. Our season is in a bit of trouble. But all is not lost yet. If we can get a win here and there with a patched-up team and hit some good form in the second half of the year we’ll do all right. And in good news for Richmond, Katie Brennan signed for the Richmond Women’s team, who, inexplicably, won’t play their first game until 2020. But better late than never. Amount of money the AFL has given to the AFLW: scraps from the table, really. My deepest darkest fear is that this will be a famous Richmond victory and I won’t be there. When I get home after a long, exasperating day my footy companion tells me she is too tired. What sweet relief! I’m too tired too! Now I can stay home and do exciting things like get a load of washing on the line for the warm day tomorrow. And watch the game on telly. I feel bad for not going, but not too bad. Thursday night footy is a joke. Doesn’t the AFL know that some people have to get up early in the morning to go to work? Before the first bounce dinner is cooked and the washing is finished, if not exactly on the line yet. Watching the telly I’m glad not to be there. The atmosphere before Richmond games is electric. Well, electronic. With 60 thousand or more in the ground all you can hear is loud music. We Are The Champions, by Queen. Queen were a great band, no doubt. But how many of their concerts were ruined by games of football? It’s a trick question. None of their concerts were so ruined. So why is our footy ruined by their song? Richmond start pretty well and have not been destroyed in the first four minutes. We have the first good chance, a snap from a pack that misses. And for a good while we’ve doubled the ‘Woods’ score and lead 2-1. But Collingwood kick away with Cox, of course, and someone else. Lynch gets a very lucky free kick and splits the big sticks from right in front. Then the ‘Woods get another goal and look to be doing it easily. They seem to have good players everywhere, don’t drop a mark and don’t stuff up when I want them to. Ellis is tackled when well over the boundary line by Varcoe. Somehow a free kick is not awarded. Short kicks a goal with a set shot from the pocket but it looks a lot like Riewoldt has broken his wrist. He’s still on the ground though. Castagna has a shot from outside 50 which is picked off easily by the defender. Then we get another goal and it’s level but too quickly the Woods respond and are seven points in front. Castagna hits the post from right in front after a great mark in a crowded 50. The kick to Castagna was from Butler who won a free for a good tackle, which, in the replay, had a touch of the chicken-wing about it. But not too much. We keep giving the ball to Collingwood, which is frustrating. Our defence is standing up well though without Rance. Vlaustin and Grimes have been great. Darcy Moore gets a free for a high tackle. As if. Should have been a free against and 50 for his bad hair. De Goey who is terrifyingly good scores and we’re two down. Defence is good but sooner or later we turn the ball over after all our hard work. Bloody Treloar scores, after Collingwood surge forward following about two hours of kick-to-kick across the Richmond back-line. It’s a three- goal lead now. Riewoldts’ broken wrist appears to have healed. I take no pleasure in any player being injured. But Treloar appears to be hurt and I’m not heartbroken. De Goey takes a screamer because there’s nothing he can’t do and scores from a good way out. No, there’s nothing worse than being beaten by Collingwood. How did they get so many good players? Two years ago they were a joke. Collingwood are getting frees for falling over. Lynch marks and passes to Higgins. He has to kick this and he does. Lead to Collingwood back to three goals. Could we get it back to two by half time? Less than two minutes left. Great centre clearance and Lynch marks. Great kick from the young feller and it’s down to two goals. Another before the break? Another to us, I mean? With the ball deep in our forward line McIntosh tackles Sidebottom just hard enough for him to drop the ball. No free kick. Yes it is! McIntosh tries to give it to Shedda but it looks like McIntosh will have to take it. It’s a fair way out and almost on the boundary. But for some reason Shedda is given the ball, goes back and kicks it straight through the big sticks. The Tiger fans and players go nuts. Collingwood make a nightmare start, Pendlebury sets up an attack and Mayne scores. Didn’t he used to be at Freo? How did Collingwood get him? Collingwood again looking very menacing. Mihocek is beating Vlaustin and Prestia is penalised for dropping a ball he never had. Broad does well to beat Elliot on the ground and fakes an accidental tap out of bounds. Vlaustin, having just been written off, does a couple of goal-saving things. Bloody De Goey has a mark again. For a small player he gives the ball a fair roost and Collingwood are winning by three again. The Tigers go forward and Short goals with a quick snap. The first Ashley & Martin ad of the night. What a disgrace they are. How are they even allowed? My daughter told me once that men spend more money on fighting baldness than they do fighting malaria. Grimes takes a strong mark in defence. He’s the best. Dusty coughs up the footy, but Grimes saves the day again. Ellis is driven into the ground by bloody Grundy but doesn’t get a free, of course. Treloar gets a free a second later but again the Collingwood attack is turned back. Lynch takes a great grab but is denied the mark. Collingwood attack again, throw the ball and get away with it, but the attack is repelled again. Dusty marks from close in, kicks a banana, unforgivably, and misses. Collingwood rebound and score, a two-goal turnover. Might not be our night. Edwards kicks off the ground from the ball -up and Lynch marks strongly and goals, despite the twelve-foot Cox being on his mark. Treloar takes the ball over the line but isn’t pinged for deliberate. De Goey marks and kicks his fourth. How can we beat a team with players like him? Collingwood lead by seven points. Cox marks not too far out and Collingwood are doing it a bit easily again after Richmond had been on top for a while. Cox misses easily and maybe we do have a chance? A chance for the Tiges but Weller is tackled before he can kick and the Woods get a free. A huge, rolling mess in the Tiger goalmouth but somehow Higgins emerges triumphant. He’s a magician. Treloar has a chance to pull one back and puts it out on the full. A good minute for Richmond. Prestia penalised despite having had the ball for a mere fraction of a second and Pendlebury scores and its 18 points again. Another Ashely &Martin ad. Despicable, manipulative. Girls won’t like you if you go bald. Very subtle. The ads are so much worse when you’re losing to Collingwood. Sidebottom drops the footy in front of the Richmond goal just like Presty did a moment ago but no free kick. We follow footy to learn that life is not fair. Cox kicks a goal before I’m back on the couch and I’m beginning to think we might not do it. But Markov takes a strong mark and will kick from a 45° angle. He gives it a good go but misses. Riewoldt is off, down the tunnel. His healed wrist might have broken again. Ellis drives the Tiges into attack and Shedda steams through like a train, gathers and goals and it’s not over yet. Butler driven into the ground but no free. What did happen to the push in the back rule? Collingwood open us up again and De Goey marks but hits the post. Merely human, after all. Cox marks the kickout from Ellis. Damn it all. We miss Houli tonight, as well as Rance. Cox gets a point and it’s 18 the difference. Ellis takes the kick again, getting back on that horse. Collingwood win it back and De Goey marks again, much closer in this time but misses, doesn’t even go out on the full. The Richmond attack breaks down a kick from goal. Collingwood rip us apart on a counterattack and goal and it’s 24 points now. Hope slipping away. Maybe we can get one or two back and not lose by so much? If we could make a game of it against a full-strength Collingwood it would really mean something. But we have to stop giving the ball away. McIntosh kicks well to an opponent and the ball is marked by Elliot. Apparently he’s very good, but has been well-held, mostly. Hits the post from not far out. Riewoldt is back on the ground. 22 free kicks to nine, Collingwood’s favour. Why are we surprised? Short or Vlaustin pinged for a throw. Even Carey thinks this is unlucky. Elliot kicks the goal. Promo for Home and Away, makes me so glad I’ve never watched it. “Colling-wooood” echoing around the ground. If only we had thousands for supporters who could sing like that. We do of course, but they’re not allowed to sing at all. We’re getting towelled up now. It’s 31 points. Grimes down off the ball. Six minutes to go, please let it go quickly. Grimes is indestructible and takes a saving mark in defence. Collingwood awarded a mark that’s a thousand times messier than the one Lynch wasn’t given. Stevenson marks right in front and it’s getting ugly. Grimes has lost his mind and in the last minutes, with the game lost, has run at Elliot and elbowed him in the head. I love Grimes to pieces and I’ve barely seen him give away a free kick before. Maybe he can plead insanity? But really, crap like that has to earn him a few weeks. Collingwood score and it’s 43 points, as bad as the prelim. Well, it might be, I haven’t the heart to go back and check the score on that one. So glad I didn’t go. 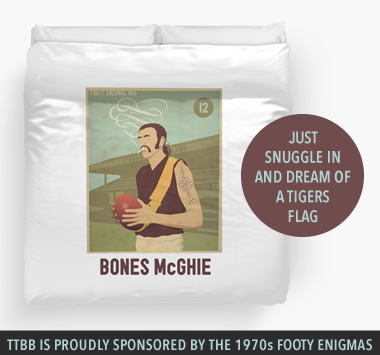 Eddie “night grand final” McGuire is seen going over to our Peggy. But not for long. Collingwood have the ball again and it’s going to be 49 points. But Cox hits the post and it’s only 44. In summary, footy doesn’t get worse than this. There is nothing so bad as being beaten by Collingwood. They have far too many good players and the AFL shouldn’t have allowed it. Their tactic of kicking across the ground and marching the ball up the field seemed to work very well, but was awful to watch. But it mystified me. The obvious way to counter such a strategy is to go man-on-man and deny them the easy kick and mark. We did have 18 on the ground, the same as them, even if our 18 weren’t quite as good as theirs. Many of our players did well. Grimes was great, again, before he went insane. Vlaustin was good too. I thought Shedda was outstanding, playing mostly in the middle. His goal to give us hope in the last was a beauty. Lynch was good too and on a better night would have kicked a bag. Ellis was pretty strong and didn’t give up. Generally, our team battled well and I didn’t see heads drop or players turns on each other, which is a good sign. But the omens aren’t great. Our heavenly run without injuries is over. Do you remember we put exactly the same team on the park for each week of the finals in 2017? And probably for the last few home-and-away rounds as well? After 37 years of heart-break we deserved some luck, but still. Collingwood, contrast, have all their players back and they’re all supermen. De Goey is just ridiculous. Cox is way over what should be the height limit for footballers and yet can still run, jump and kick. Adam “diss the list” Treloar is good too, but still doesn’t have a premiership medal. To make it all better though, Eddie insulted a woman with a disability on Fox Footy on Friday night. As Douglas Adams said of some-one he’s clearly a man of many qualities, even if most of them are bad ones. I think he would be very well-suited to a job where he didn’t have to talk. Two easy games coming up, against the Corporate Giants in Sydney and then Port in Adelaide. Both Saturday twilight games, both on pay TV. Even if I had time to go and watch these games somewhere, I might have to McGuire’s commentary. I don’t want this match report to degenerate into a tirade against the Collingwood president…ah, who am I kidding? That’s exactly what I want. Anyway, he’s not much of a commentator either, sometimes doesn’t take the trouble to learn the players’ names. Richmond will plug a few gaps and pinch at least one of these games and will be on an even keel after round four. Dusty will find his mojo, Houli will heal and the young players will step up. But footy is not such a great game after you lose to Collingwood. 5 Edwards – played four quarters, his quick hands and accurate kicking kept hope alive. 4 Lynch – our only tall target after Riewoldt broke his wrist early. Took some great grabs and kicked goals nervelessly. 3 Broad – has started the season really strongly. Impressive tank – he is bobbing up all over the ground and seems very hard to shake off. 2 Grimes – wonderful for most of the game but burned badly by his opposite number De Goey late on. Unforgivable brain fade will see him lucky to miss just one game. 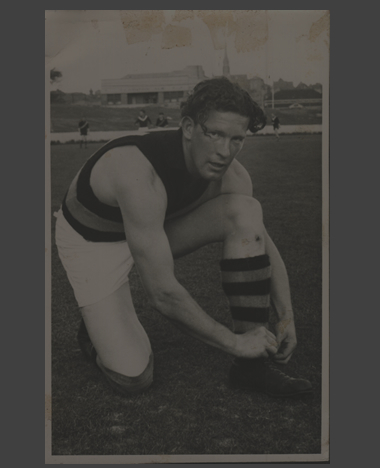 1 Nankervis – tried very hard against the athletic Grundy. Lost the hit-outs but used his body intelligently in play, and racked up 4 tackles (one eighth of the team total). The start of the season is always too early for me. March is the most beautiful month in Melbourne until footy comes along. A Long March, with fine weather and no men’s footy, would suit me fine. It would suit the AFLW too, of course, and send the best message about the value of their game. We’ll make the men’s season a fraction shorter (our players are always saying it’s too long) and give you some more time and space. The start of the season is always too early for me. March is the most beautiful month in Melbourne until footy comes along. A Long March, with fine weather and no men’s footy, would suit me fine. It would suit the AFLW too, of course, and send the best message about the value of their game. We’ll make the men’s season a fraction shorter (our players are always saying it’s too long) and give you some more time and space. Now is the time for the AFL to announce this. Not in ten years’ time. Not next year. Now, after the Tayla Harris’ stand, after the AFL has trashed the women’s game once more. And while they’re at it, now is the time for Toilet Equality at the ‘G and elsewhere. Make some of the men’s dunnies into women’s until our queues are of equal length. Only then will women and girls know that the AFL takes them seriously. I digress, but I needed to. The first game doesn’t come out of nowhere. It comes into a glorious month trailing controversies real and contrived. Then the ball is bounced and a flip is switched and it’s on again. Our tickets in row Z in the Southern Stand cost us about half a year’s membership, but without them we might not have gotten in at all. As it was we missed Lynch’s first goal. From outside the ground, when we were still lined up, I assumed the roar was for Carlton. There was something about the sound that I didn’t like and it seemed strong at the Punt Road End where, at a Carlton home game, I assumed the crowd to be Blue-ish. 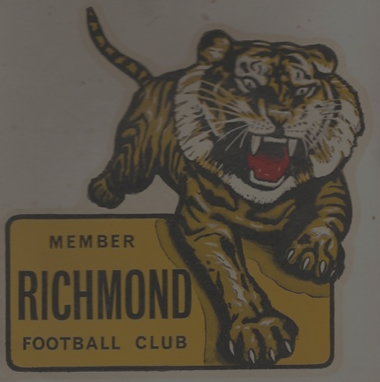 But once we were in we learned Richmond had scored first. What did that teach me about tribalism? That, in fact, a crowd’s roar sounds much the same, whatever team it’s for? We were in our seats when Lynch kicked a goal and were able to deduce, from the way all the Richmond players didn’t mob him, that it wasn’t his first. This was so much better than last year when the Blues killed us in the first quarter and it felt like round 1 at Waverley in 1981 all over again. This was footy the way it should be – a big crowd, Richmond with five goals on the board and Carlton yet to score. 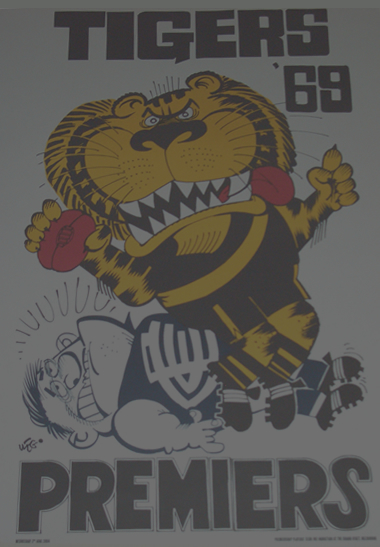 The second quarter was footy as the AFL prefers it – more of a contest, but with the Tigers still in control. Higgins’ goal was the highlight, a quick snap from fair way out on a very tight angle. Has there ever been a player who loved playing so much? His celebrations make me feel young again. But Carlton had come back a bit and worse was to follow. The third was footy as nightmare. A good lead being whittled away, the Carlton crowd roaring. The lead went down to four goals, to three and then to two. 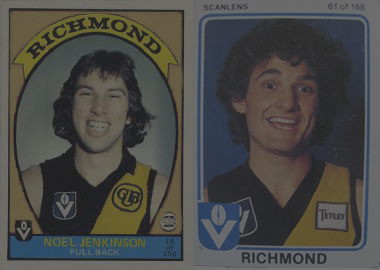 The Richmond defence was under siege. Finally, they forced a turnover and broke away. Dusty tore through the middle, wondering which option to take to set up our much-needed goal. Then he was caught, the Blues fans went nuts, the ball was turned over. He looked very cross with himself. But the counter-counter-attack was thwarted once more. At a big marking contest Rance went down and play was stopped. We know it’s bad when they actually stop the game. Nobody knew that the problem was. From the scraps of replay we saw he was hurt either in the head or the leg or somewhere in between. All we saw was him falling. And now on the ground, un-moving and the surviving players huddled, discussing life without him. This could hardly have been worse. Carlton surging, the lead down to two goals, the quarter barely half over, the best full-back of all time on the deck. But Richmond really stood up then and gave Carlton nothing. It was a desperate end to the quarter but if anything, the break in play had settled the Tigers and all of Carlton’s attacks were blunted. In the last, order was restored and the Blues were taken apart. What could be better than getting the jump on them early, teasing them in the third and then breaking their spirits in the last? Even after our third goal, with the lead at 28 points and the quarter not half gone, Blues supporters were leaving. This is something I will never comprehend, but I saw Richmond supporters do the same in the prelim last year, so this fickleness infects everyone. Rance emerged from the tunnel on crutches with a bag of ice on his knee. The crowd roared in appreciation and in sadness. The best goal of this quarter was Weller’s, a brilliant soccer kick from a good distance out and a similar angle to Higgins’ effort. The lead went out to 40 points before a late consolation goal to the Blues. We could get our breath back before we stood and sang the song. I could see the smile on Rance’s face which was encouraging. But the way his mates went to him and patted him on the head said “season-ending injury” and so it was. Match reports have bemoaned this game as a spectacle. “Objective” writing often does. There were plenty of highlights though. Cotch and Riewoldt each took beautiful marks. Cotch kicked a behind from his but I think Jack split the big sticks. Many too-tall and too-skilful Blues players also took good marks. They have no shortage of good players, despite everyone running them down. I tried to learn their names and numbers but we were so high up in the Southern that we could only read the numbers when play was on our wing, which it often wasn’t. I don’t know if the rules changes mattered that much. It chokes me to say it, but it did look nice and symmetrical to see everyone lined up, almost like the old days, at the centre bounces. I miss the dinky little kick-to-himself that the full-back had to do to play on. 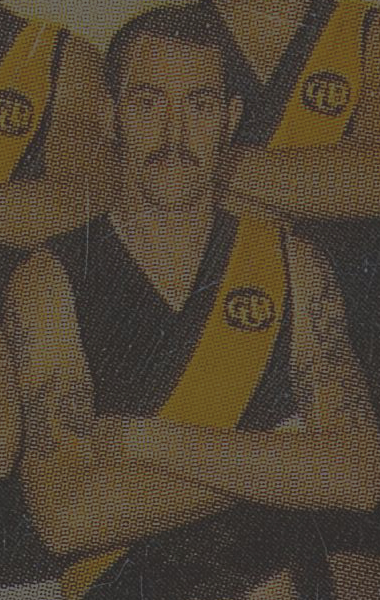 One of those little quirks that the AFL despises and so it had to go. It looked a lot like the 2017 Richmond – often messy, often scrappy, but from one contest to another the ball herded between the big sticks. Next week a sickening clash awaits – Book Club to discuss Brideshead Revisited or Richmond v Collingwood? 5 Grimes – as always, was great. Never beaten, always there, always contesting. 4 Vlaustin – was good too. The way the defence stood up after Rance left will be written about for years to come. 3 Cotchin – played a classic good Cotchin game, with a memorable highlight being his mark over his opposing skipper Cripps. 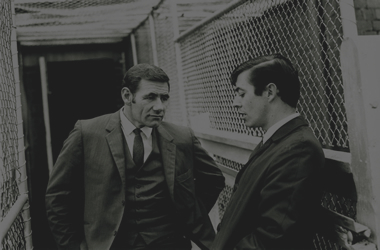 2 Martin – was an important player for us too, even if he was caught a few times. 1 Lynch – great to see the new players get goals in Lynch, Weller and Balta.